There are three places I feel God has hidden his divine light. The first place was the Torah, and the second place was in the Messiah. It should be of no surprise but important to note that Jewish tradition clearly makes this connection. It is written, “And God saw the light that it is good.” This teaches us that God foresaw Messiah and his activities even before the creation of the world. Based upon these passages, we must conclude that Messiah is both the source of this special light and the one who will cause the lost light of the first three days of creation to shine again in the Messianic Age, so that all the redeemed ones might bask in the Lord’s divine light, thereby finding healing and blessing. As Rabbi Paul states, “For God, who said, “Let light shine out of darkness,” made his light shine in our hearts to give us the light of the knowledge of God’s glory displayed in the face of Messiah” (1 Cor. 4:6). Hanukkah reminds us that Yeshua is the light of the World! A third place that it is believed that God hid His light is in the menorah. The menorah that was placed in the Tabernacle symbolized both the light of the Lord’s eternal Presence as well as the perpetual light of Torah, God’s Wisdom as found in His Word. The Hanukkah miracle of the oil burning for eight days is meant to allude to this reality! Antiochus who named himself Ephinanes, god manifest, tried to place himself and his laws in the Lord’s rightful place—but in the end he was extinguished while the Torah and Israel has not only survived, but thrived! There is also a deeper connection between the divine light and Hanukkah. 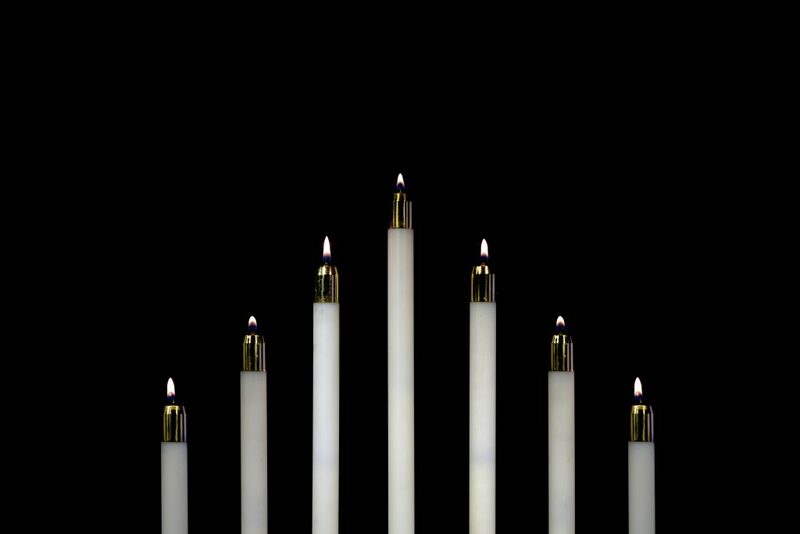 During Hanukkah we light 36 candles in total over the eight nights (not including the ‘smash’ which is technically not part of the miracle). 36 is the exact number of hours that the primordial divine light of creation shone for 26 hours. Twelve hours a day, for three days. The 36 candles on the menorah correspond to the 36 hours when Adam and Eve were bathed in The Primordial Light of creation. Today, as we kindle our own lights, we call forth a revelation of this now hidden and intense light. The Hanukkah story took place in the 36th century of the Hebrew Calendar and the concept of light occurs a total of 36 candles times in the Torah, corresponding to the 36 hours that the special divine light as well as the Hanukkah candles. As we kindle the light of the menorah today, we should be reminded of the Ohr Hagganuz, which is the light of Messiah, and we should pray that the Lord would bring forth into the world this divine light through us. As Yeshua said concerning His followers, “You are the light of the World” (Mat. 5:14). So become the light you were destined to be and help bring healing to this hurting world!